L-R: Janet Gotladera, Irene Tolentino, Carol Go, me, Bing Babilonia, Pam Pessumal, and Mozzy Ravena at Earth Kitchen. The first article where the mothers of some Ateneo Blue Eagles spoke about their feelings about this challenging season was well received prompting a second get together. 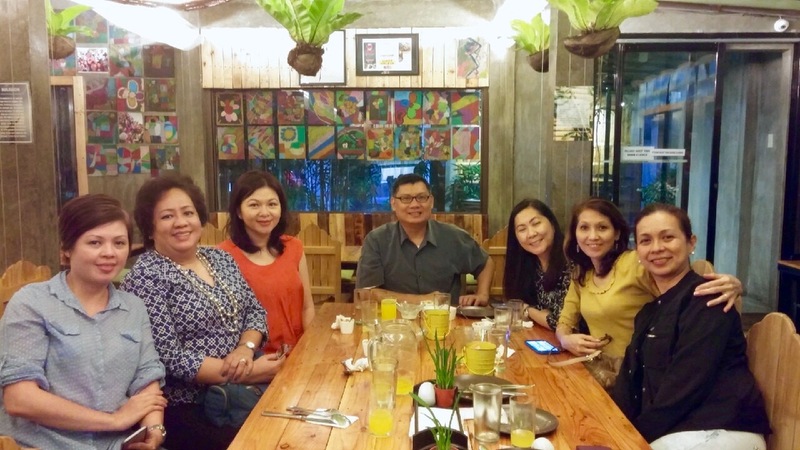 So last Thursday, October 29, we all met up again at Earth Kitchen in White Plains to catch up more so since the Blue Eagles have started to play much better. We discussed if the first article helped tone down the noise, Vince Tolentino getting hurt in a game, the John Apacible incident, and social media. As always, the mothers’ thoughts were telling. In attendance were those present the first time around, Bing Babilonia, Pam Pessumal, Janet Gotladera, and Irene Tolentino. Making it for the first time were Carol Go and Mozzy Ravena. Parts that are off the record have been chopped because it is none of anyone else’s business to know those things. Rick: So did that first article help? I hope it did? Bing: Yes, it did. Si Gboy found it a little funny that we talked about those things. He thought we were just having dinner. He found it okay naman. And it has been positive since. Pam: Von said, “Good answers, mommy.” (laughter all around). Yes, it helped. 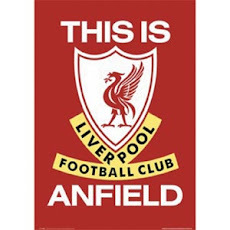 I wonder though what we will hear again when the team loses. Sana naman people are kinder and more understanding. Janet: She said, "I am just there to support on the side." She got my vote with what she said. Janet: Sabi ng anak ko about our get together, 'Mama, ang cute niyo naman. Puro kayo mga mommies nag-ganyan kayo.' Eto yung mami-miss ko when Fonso graduates. Irene: Same. I think it was good for all of us. Positive din. Vince didn’t expect this. He thought dinner lang. But when he read it he said he was fine. Rick: Carol, were you aware of what was written? How did you feel about it — the reactions of the moms? Carol: I was able to read it and I was able to relate. (nods from everyone) Since I am new to the team and this samahan of the moms, I don’t know everybody very well. But through the article I was able to know them better. It was a good start. And it is the same. Hindi lang pala ako nag-iisa. Mozzy: Obviously, I was aware of the interview and what Rick wanted. I wanted to attend the first get together but a part of me didn’t want to go to because I wanted to hear from you. Kasi lagi akong ini-interview so it seems people hear from me all the time. So palaging voice ko. I wanted to see if the other moms have the same thoughts and feelings. Baka ako lang. But it turned out that we more or less have the same feelings. It was the same for everyone. First and foremost, they are our kids aside from being Ateneo players. It was really good. And everybody could relate. If you cross the story with the basketball side, it became clearer with basketball fanatics how we are and what we experience. It isn’t to make paranig or scold anyone. It was just to make our thoughts known. Yes, Kiefer read it too. He nodded. Agree siya! Rick: That’s good then! Hope it holds up. Masusubukan tayo ulit when we face adversity. But let’s hope for the best. Rick: Since our last get together, Ateneo has been on a win streak. However, there was that game against Adamson where Vince (Tolentino) was yanked to the court and could have been really injured. As mothers, what did you think that moment Vince hit the floor? What did you think? Did you fear for Vince and your own son? Let’s go with your first, Irene, so anak mo yung involved. Irene: Actually, the moms have a Viber group and I said, “See this is what I dread the most. More than anything I am worried about injuries.' I have a daughter (Katrina who is with the Ateneo Women’s Volleyball Team) who is playing sports and still in the stage of recuperating after a knee injury. She is going through a very difficult phase where she is wondering if she should play again after repeated injuries. You cannot imagine how it also bothers me to see my daughter’s dreams up in the air. But I want what is best for her. Sometimes you have to say something and sometimes you have to give them space. It is hard for me as I can talk. And then when Vince got pulled down, I went, ‘Oh, my God! My son! Not another child!” I was praying, please, no. Wag naman sana na injured or he is hurt. As moms, no matter how much we want to support our kids, that we want them to have lots of playing time, there is that fear of injuries where they could experience something terrible. In fact, most of the articles I clip about my son are about what happened to Vince. You want it to be about his contributions and not him being hurt. Of course, what our children want is more playing time. So my prayers are always for Vince’s safety and also of his teammates. Rick: Did you run down from where you were seated? Irene: No, it was my husband who stood up and checked on my son. I stayed seated and was frightened. My daughter was next to me and she helped me get through all my nerves. She said, “Mom, look at Vince.” She was pointing to the big screen above where they were poking cotton buds in Vince’s nose. But she said it in a manner that was funny because Vince doesn’t get too many close ups on the screen or TV and now he was. Her being light about it and of course, Vince was alright, helped me get through that difficult moment. Mozzy: Rick, do you know that Irene’s daughter Katrina has gone through two injuries? 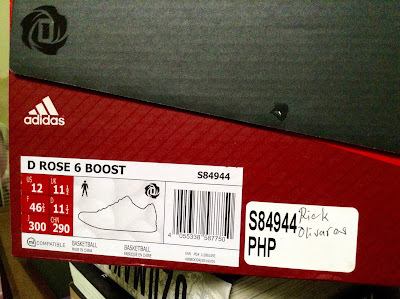 Mozzy: See, Rick… three na pala si Katrina. (shakes her head) It is hard for Irene and it is hard for all of us parents. Carol: As a mom, our first concern is for our kids to be safe. More than playing time. Most of our sons here (at dinner) are guarding the foreign players who are bigger, stronger, and taller. We have that fear they could be hurt. My son is a rookie and very inexperienced compared to the others. Seeing Vince get pulled down, it was like seeing my own son get hurt. I was concerned too for Vince. 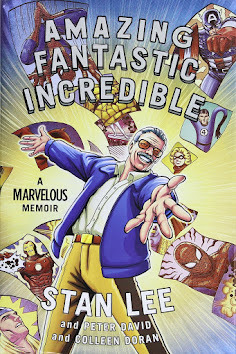 We all were. Rick: Isaac got hit in the last game (versus NU). He was still smiling. What were you thinking at that time? Carol: Actually, he felt something. But that is his personality — he always smiles. Rick: So you were not worried? Rick: That’s a good answer. Pam: Oh, my God. I hope it is nothing bad? Rick: I hope it’s not a concussion. Carol: Actually now he is under observation although he is feeling better now. We saw a doctor and it was more of trauma. He is better though. Thank you for your concern for my son and of course, kay Vince din. Bing: Kami naman there was that incident where GBoy dislocated his shoulder. As Carol said, you pray for the safety of not only your son but for all the players. Even the players on the other team. Nga-flashback ako when I saw what happened to Vince. Now I think this proves that you care not only for your son but also for the team. Pam: When I saw Vince fall, I feared for him. I prayed for him but I also got these flashbacks to Von’s injuries through the years. To this day, I do not want to look at pictures of Von’s injury (the finger injury he suffered two years ago where his bone stuck out after getting jabbed). I don’t think I can. I don’t want. All I could do at that moment was pray that Vince is okay. Thankfully naman he is all right. Janet: I got scared for Vince and also Fonso. I realize injuries are part of the game but wag naman sana masama. Hindi naman maiiwasan but you can only pray it isn’t bad. Two years ago when Ateneo played La Salle, Fonso got hit behind the head. I knew he got hurt so I told my sister that we need to get a scan for him. That is one of the reasons why I don’t sit in the patron section, I am afraid. Once I sat next to Mozzy and tulala ako. Wala akong sinasabi. She said, ‘Okay ka lang?’ I said yes, but I keep quiet. I want Fonso to do well but I always get nervous. Ayoko lang makita nasasaktan anak ko. Minsan naghubad ng shirt at black and blue yung likod niya how can you need fear for his health and safety? Irene: Hindi lang yung bruises, meron din mga kalmot. Bing: Oo nga. Some people need to cut their nails. Ang hahaba kasi! Mozzy: I wasn’t in the venue when Vince got hurt. I knew about it through text. So I watched the replay. I felt bad for what happened but at the same time, I felt proud of Kiefer for going to the defense of his teammate. Irene: I asked Vince what was he going to do and he said he just wanted to tell Nalos that what he did was not cool. Irene: I think it was also nice of Kiefer to go up to the Adamson bench and apologize. Bing: You can see that the team watches over each other. They are growing din as a team. Rick: Moving on, the team is now winning. Sana tuloy tuloy na (knock on wood). More players are contributing. Carol, …. Isaac is now getting playing time. Carol: We are very happy that Isaac is being given a chance by Coach Bo. Previously, every time we watch, we say, 'Just get ready because you can be called any time. Give quality minutes.’ Pero most likely hindi siya makakalaro. But not he is given a chance and I will not deny that when we see him get up from the bench, excited ako. Pero may concern na baka hindi maganda ipakita niya. We always encourage him to be prepared. He understands his role in the team. He knows he still lacks experience and needs to develop more skills. He needs to catch up. He accepts that he will not have much playing time. But he always gives it his best and the senior players always encourage him. Right now, his goal is to continue to work hard so when called again, no matter how, little, he can contribute to Ateneo. Rick: This one is a little more sensitive — after the John Apacible incident, did you talk about it with your son? Bing: Naawa ako sa bata (John). Siguro na-lost lang siya along the way. I do not know how Ateneo will judge the case but if you look at social media it is harsh. Naha-harsh kami. I think it is incumbent upon us to help bring him in and provide positive feedback and what he can do. It must be very hard for him. Carol: As a mom it is my responsibility to remind my son how to behave. When faced with mistakes, how to move on. That is important. I admire my son and his teammates. Although they know what John did wasn’t right, they support him in making good and coming back from this. They are just like brothers. No one wanted this to happen but they still help each other. I think that is admirable. Irene: This is a first experience for me as a mom with a child here. What bothered me is how social media drives this world. When Vince told me about it, I was concerned with how social media is ruining this boy’s life. I feel bad for John. He made a mistake and he must find ways to make good after all is done. But he is harshly treated. The truth is I am new here. Should we moms try to do something for him? Since I am new, I am not sure what the protocol is here. If this happened in Canada, I know that I will do something about it to help him rebound from this. This is a time to help him and not ostracize him. So even if they are young, they have to think many times bago meron silang gawin. Just be careful. Lalo na in this age of social media. Rick: Having said that, social media, do you caution your son about how they interact in social media? Bing: Yes, all the time. They can be very opinionated. They should be wary of what they say. I tell them they should be responsible with their opinions. Pwede sila makasakit. Just because it is their opinion that doesn’t mean they are right. And they have to understand the repercussions of their actions. Pam: I want to share this. May pinost ang daughter ko about what happened to John. She said, ‘Why did you have to post this? Why did you have to video this?' I said, ‘Darling, I agree with you. But when you post these sensitive matters, just keep it to yourself and your friends and not open to the public kasi maraming bashers. There are a lot of nasty people out there. Some people can take that but some people cannot. So my daughter made this only available to her friends. Mozzy: At the time of what happened to John, a lot of reporters were asking me for Kiefer’s number trying to get a quote from him about it. I told my son to wait for Ateneo’s response. Ateneo should make the statement and not him. Si Kiefer, I don’t know if it is a blessing or a curse that a lot of people watch what he does and will look to him to say something. Either they will love him or hate him. It is very hard. Half of the time, people will connect a quote to an incident and an innocent remark can be misconstrued. Sometimes, putting out even a simply picture — people will misinterpret it and say something. Rick: So you openly discuss it with your kids? Mozzy: Yes. I also want it to come from my boys naintindihan nila yung situation and they know what is right and wrong. Carol: Isaac has his Twitter but he hardly posts anything. We always discuss social media and the dangers of it. We also talk to him about his opinions and how he should communicate them. Like all the moms here, we talk about it. Every single day we remind him of responsibility. Irene: When there is something I strongly want to tell Vince, I chose and pick the time to do that. And social media is one of that. As a mom, I tell him what his role is. I always recommend that he open communication lines because we have to guide him. If we cannot, he should ask his professors or the team managers. It isn’t bad to get advice from others, I tell him. Vince works very well with his dad. So they talk about those concerns. Janet: Para silang public property (the Blue Eagles and other teams). Napapanood sila sa TV. When people see them having fun when they go out, kung ano nakikita sa kanila, people talk about it. Yung ang sinasabi ko kay Fonso to be careful. Talagang prino-protect yung image niya. He really wants to have a good image lalo na here in Ateneo. Rick: Speaking of the effects of social media, two years ago, Kiefer got injured before the start of the season and that heavily affected Ateneo’s performance. Social media was constantly buzzing about Kief that time. 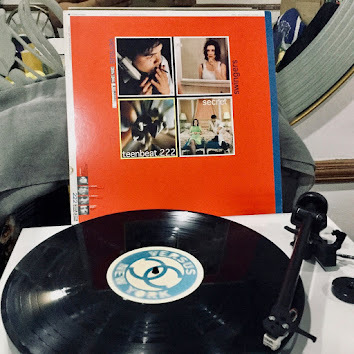 What was it like for you and your family, Moz? Mozzy: Traumatic experience para sa family namin yung na-injure si Kiefer two seasons ago. Alam mo hindi mo masabi o ma-kwento lahat. At the bottom of it all, partly may kasalanan kami. Pero wala kaming choice but to keep quiet. But it was hard. Kailangan lunukin mo lahat yung sinasabi. I saw how it affect Kiefer in a way we never saw before. He was often quiet. Hindi siya nag-open up about his feelings inside. Doon namin nakita the real value of basketball was to him. Bing: For GBoy, he adapted the philosophy of not paying attention to what people say. Wala ka naman magagawa sa mga sinasabi? Why when it will affect his game even more? I told him that even if he disregards what the public thinks, he still has to think and act responsibly. Rick: So, moms, hindi niyo naman binabawal sila from social media? Bing: No. Just be responsible. Janet: No. Even if you do they will be curious and find ways to engage in it. So tama yung sabi lahat ng moms, constant reminders. Pam: That is what we are here for as well. This appears on the November 2, 2015 edition of the Business Mirror. Remember when Letran, proud proud Letran who refused to line-up foreign students, faced San Beda in their first meeting of Season 82? Rey Guevarra took a gusty pass from RJ Jazul and dunked the ball on Red Lions center Sam Ekwe in the final play for a 70-69 win. Only San Beda had the last laugh as they swept the Knights in two straight in the finals for their second straight title. Remember when Letran won Game Two of the 2012 finals with Jonathan Belorio the unlikely hero? Poised to steal the finals, the Knights crumbled in Game Three, scoring only 39 points as San Beda romped to a 28-point anti-climactic victory. It was not only long-time coach Louie Alas’ last game for Letran after leading them to three titles, but it was also the last for his sons Kevin and Kristoffer; a virtually end of an era. Remember when Letran thought that the third time would be the charm as they once more evened up matters in the 2013 finals only to lose in the final minute of Game Three to hand San Beda its fourth straight title? Remember how Letran came up short in a last ditch rally in the quarterfinals of the 2015 Filoil Flying V Hanes Premier Cup with the Red Lions using only their third stringers? It seemed that year after year, and what was close to a decade now, that the Letran Knights only knew futility against San Beda. Even since the Red Lions paraded African players, they have not only owned the NCAA but they overtook Letran’s 16 men’s NCAA titles by winning eight of the last nine championships for a record of 19 crowns. 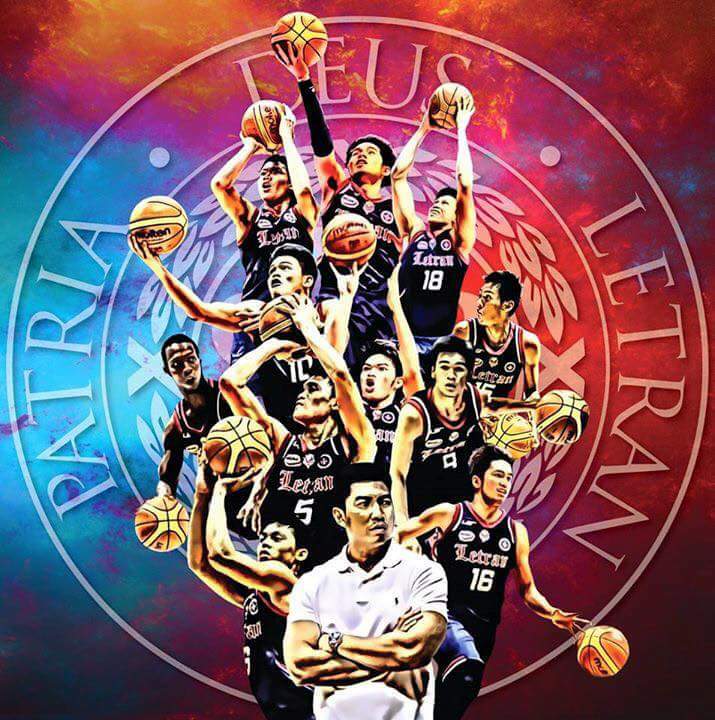 The old men of Letran chafed but never gave up hope. Even if they didn’t have the championship pedigree of San Beda. Even if they weren’t particularly tall. Even if they weren’t as deep. Even if they played all-Filipino. It was a source of pride for the team that they swam in the face of change that has swept collegiate basketball all over the archipelago. However, the Red Lions answered with a most telling response as they came back by winning a championship with an all-Filipino crew of their own when Daniel went out with an injury at the start of the 2011 season. Letran in the meantime, stuck to its guns. And their faith was rewarded. This season, a most unlikely one, Letran began and ended Season 91 with a win over its longtime NCAA rival — with a win. A win now that will somewhat ease the stigma of three previous finals losses and put them firmly back in the chase for the most number of NCAA titles. San Beda was gunning for history. Instead, it was the Knights who wrote it. “May mga nagsasabi, ‘nandito na naman ang Letran sa finals pero iiyak sa huli,’” added Mark Cruz. “Kailangan namin subukan di ba? Laban lang. Ganyan naman kami dito sa Letran. Laban lang." They sure did in Game Three. 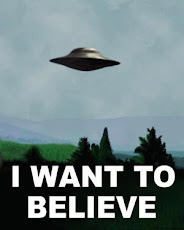 Even if they were outrebounded, 55-36. Even if they shot fewer free throws, 24-16. Even if they had fewer assists, 18-17. Even if they gave up more fouls, 25-21. Even if they had fewer second chance points, 14-10. Whatever happens from here on, even in the next few years, ye gods, those old men of Letran, they’ll remember this championship. 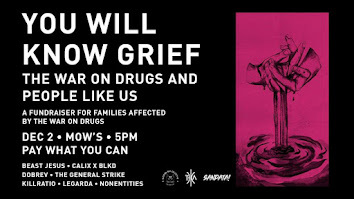 For Rey Guevarra, Jam Cortes, Jonathan Belorio, Kevin Alas, and Louie Alas. Check out my new D Rose 6 kicks from adidas! 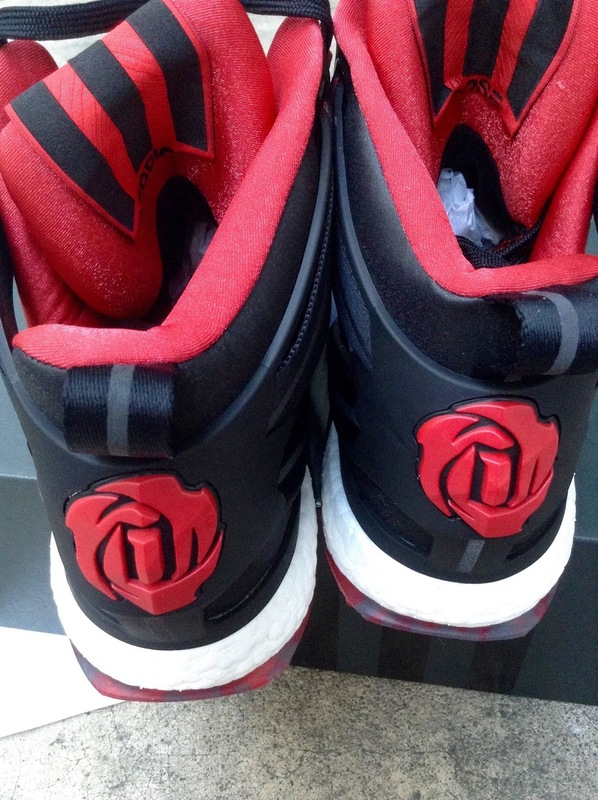 This is my first ever D Rose shoe. I haven't worn basketball shoes in a long while. Not since I last played a game that was about three years ago. I can't play how I used to due to age and an assortment of injuries over the years. 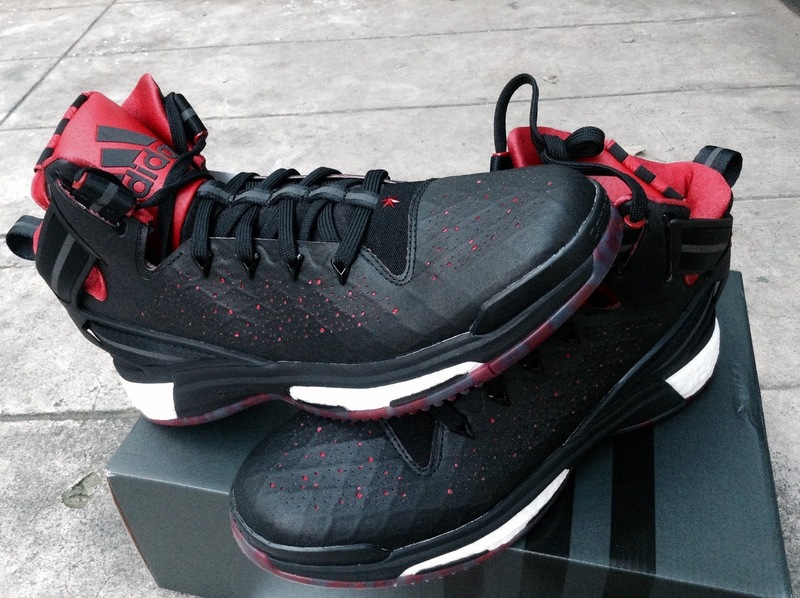 Nevertheless, the D Rose 6 is something I look forward to trying out. Built after the latest in a long line of injuries of the Chicago Bulls' star point guard, the D Rose 6 is equipped with forefoot and heel boot cushioning that is designed to ensure energy return and maximum comfort. You won't believe the features incorporated in this shoe that is for foot protection! The FITFRAME heel cage and straps were constructed to deliver an adaptive fit. And on the outside of the shoe is a herringbone traction pattern that adds optimum grip. All these safety features are no accident. Brian Foresta, vice president of adidas' global design said, "Derrick is in a different place than he was a few years ago and we wanted to create a shoe that shares his focus to bring a championship home (to Chicago). Our close work with Derrick allowed us to design a shoe that reflects his journey and helps build his game." The D Rose 6 is out in the local market and is priced at Php 8,495 and comes in two different colors -- the "Home" version that is white and the "Road" version that is in red. There will be five more color variants out by the end of the year. Thanks to the Three Stripes!!! This appears in the November 3, 2015 edition of the Business Mirror. 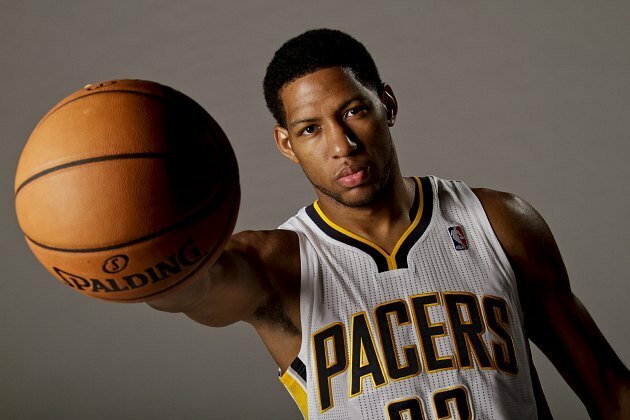 The Detroit Pistons just waived forward Danny Granger after acquiring him in the off-season. What a sad turnaround for Granger who before the emergence of Paul George was the man in Indiana. The Pacers were hoping that both Granger and George would lead Indiana deep into the playoffs of the 2012-13 season. But after battling persistent pain in his knee, Granger was shut down after playing only five games after the All-Star break. It is a sad turn of events for the former University of Mexico Lobo who aside from being the star in Indiana and making the NBA All-Star team in 2009, played on the US national team that won gold in the 2010 FIBA World Championship in Turkey. His star was rising and so was his team. That is until an injury and a series of bad ones at that have derailed what was a promising career. Right before the end of the trading deadline the 2013-14 season, Granger, at that point the Pacers’ longest-tenured player having played nine years in Indianapolis, was sent to the Los Angeles Clippers in a three-team trade that saw Evan Turner take his place. Before the trade, Granger chafed at coming off the bench but not the crass manner that Paul George displayed this past summer when he was moved from the three-spot to the four. He was still a gentleman. Yet Granger's production declined not simply because of the loss of minutes but because he simply wasn’t the same player after coming back from sick bay. What made it worse for Indiana was that the Turner trade didn’t work out they way Pacers management envisioned. Turner got into a fistfight with then-teammate Lance Stephenson and didn’t lack his lack of touches. Then center Roy Hibbert went into a funk and the Pacers were never the same. Now Turner is in Boston while Stephenson is with the Los Angeles Clippers. Paul George who took over as the star of the franchise suffered a horrific knee injury while playing for the national team and the past season was lost. Indiana finished with a 38-44 record and just missed the playoffs despite posting the same record as Brooklyn. The Nets won the season series and thus a shot at the NBA’s second season. George recently returned just this summer and has looked great playing a stretch four for Indiana. As for Granger, he went from Indiana to Los Angeles to Miami to Phoenix where he didn’t play at all before Detroit picked him up. When he didn’t suit up during the pre-season, he was waived. And painfully, on the eve of the new season. He will need a month of rehabilitation on a plantar fasciitis injury on his left foot before he works out again. But what team will take a chance on an injury-prone player? It is sad because Granger was one of those good guys and was never a trouble maker. He mentored the young Pacers and George in particular. He exhibited a toughness that former teammate Ron Artest demanded from him when he lost two front teeth during a scrum in Boston but returned to the game. He was an all-NBA talent on a bad team until the Pacers put together a solid line-up towards the end of Granger’s tenure there. Somehow, in the middle of all of this, I can’t help but think of another Danny… Danny Manning. His is a similar story up to certain points. Manning won a national championship with Kansas after which he was selected number one overall by the Clippers. During his rookie year, Manning tore his ACL and was sidelined after 26 games. He did come back and post some terrific numbers such as the 22.3 points he averaged in 1992-93. Continuing knee problems sidelined him and he was later traded to Phoenix where he became a valuable reserve. After Phoenix, Manning bounced around — Milwaukee, Utah, Dallas, and like Danny Granger, Detroit. Unfortunately, this is where Manning’s career came to a close. Manning has since found life as a basketball coach. He was an assistant to Bill Self when Kansas won the NCAA title in 2008. He has since parlayed that into a head coaching job with the Wake Forest Deacons. As for Danny Granger, maybe there’s still some NBA life left in those aching knees and feet. I am not suggesting that he call it a career. 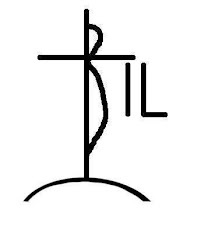 After all who am I to tell him how to live his life. But he should know that he was good for the game and the game, unkind as it was in recent years, will turn around and make good on him again. Now we have to wait for that happy ending. Good luck, Danny Granger. I am rooting and pulling for you. This was from the first quarter. Kev faked off JR Gallarza with a deceptive step then blew by him. In two strides, Kev swooped in for a basket. After watching UST's Kevin Ferrer yesterday, I couldn't but help and think of his days as a Tiger Cub where he was known more for his scoring especially from three-point range and from those years when some pegged him as a rugged player who liked to taunt foes. Whether those were the instructions of his coach or not, this year’s model of Kevin Ferrer is a player who has figured out how the game can be easy for him. The next Arwind Santos — someone who is tall, lanky, mobile, and a two-way player? In Bong dela Cruz’ system, it’s an equal opportunity offense. The ball doesn’t need to go through Ferrer or even Karim Abdul. And I guess that is what I enjoy most when watching the UST Growling Tigers. They just move that ball around. What I like about their system is everyone is a threat. With every player a threat, that makes Ferrer even more dangerous as he doesn't mind passing the ball. He doesn't need to take shots unless he has to. Yet at the heart of it is Ferrer. Much has been said about how Ed Daquioag has kicked up his game to a whole new level. No argument there. But Ferrer does more. Last season (and I wrote about this), Ferrer embraced the leadership role. He was more vocal. This year, he is more demonstrative on the court. Especially on defense. Against UP, he pulled newbie Mario Bonleon to a proper position on defense while keeping an eye on the Fighting Maroons spread out offense (to allow Paul Desiderio or Diego Dario to attack inside). During another play, he gestured to Renzo Subido to come out and get the ball and not wait for the pass. In another, Jett Manuel blew past his man only to be met by Ferrer up high. Manuel threw up a prayer that didn’t hit anything. As for his fellow veterans, the way he passes that ball to Louie Vigil or Ed Daquioag without looking.... that is a keen understanding of his teammates and the game. Seeing how UST lined up on defense (a floating man-zone that sometimes would go to a 1-3-1), Kevin would slide behind Karim Abdul who would do his best to disrupt those taking jumpers from the top of the key as a secondary line of defense. He would also haul down those rebounds. This of course, wasn't the first time, UST coach Bong dela Cruz utilized Ferrer this way. 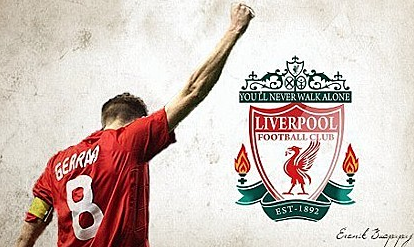 He's done it time and again including last season. The result -- 29 huge points and 14 rebounds to go with 3 assists and 1 steal. And that brings up his season averages to 17.7 points, 8.6 rebounds, and 1.6 assists in 32 minutes an outing. It has been two years now since Ferrer has played that point-forward position with aplomb. Before he used to wait for his teammates to give him the ball. Now he gives them the ball, directs traffic, and doesn't have to take a shot. And there’s the matter of his defense. His length, mobility, athleticism, and wingspan allows him to guard pretty much every position on the court. The graduating center laughed then added, “You know what he can do. The question is, ‘what can he not do?’"
In a conversation with Yeng Guiao a long time ago, the veteran coach told me that when he gets the stat sheet, the first thing he looks at are the assists. “That is how you know you play well as a team,” emphasized Guiao. 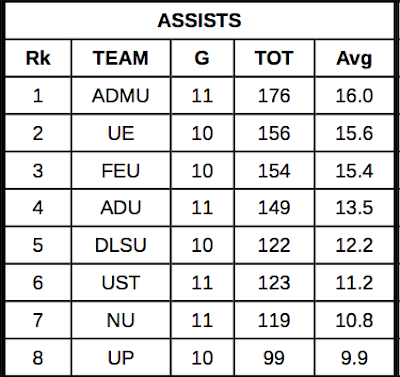 Following the UP-UST match that saw the Growling Tigers formalize their entry into the Final Four, I not only checked out the cumulative assists but also the bench play of all the teams in the UAAP. Ateneo is leading the way with 16 dishes per game. For a team that is unfairly perceived as a Kiefer Ravena-centric squad this goes to show that the Blue Eagles can pass the rock. 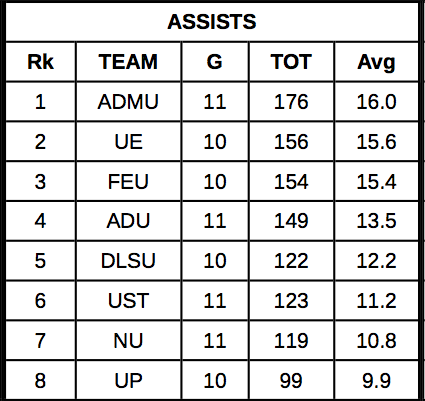 Ravena leads the wait staff with 5.1 assists while Jerie Pingoy is second with 3.0. Von Pessumal, Adrian Wong, and Matt Nieto also look for the open man. FEU - 38.4 for the starters and 36.5 for the bench. The Tamaraws have more balanced scoring and that is why they are harder to stop. The UP Fighting Maroons went down to the UST Growling Tigers 83-76. At 3-7, the Maroons are clinging to hope and the fate of other teams for their Final Four lives. What started out as a promising season — and they did announce their Final Four intentions — is now back to that familiar old script of frustration. The score the fewest points with 63.5 an outing. Breaking that down further, UP is second in the UAAP in perimeter points with 29.8 and 22.2 in the paint of which they are also last. As a result of their preference to jack it up outside, they have attempted the fewest number of free throws with 184. Word is they are frustrated with the slow development of Cheick Kone that has hurt their inside play. Maybe. Maybe not. But for years, the composition of the team has been a bunch of stretch fours and fives. If you saw Adamson’s Papi Sarr during the summer he wasn’t even that good. he sat most of the time. But Adamson coach Mike Fermin said that they really worked long and hard with Sarr during the time between the end of the summer leagues and the start of the UAAP. During the UAAP Season Opening presscon, Fermin even said that all he wanted from Sarr was to rebound and block shots because he knows his locals can score. Yet Sarr is literally getting better. During Jean Mbe's residency year with NU, he couldn’t even dribble the ball when he took his eyes off it! Yes, I saw that and that is not hearsay as I was at a few of their early practices. And I saw then coach Manny Dandan patiently work with Mbe, step-by-step, dribble-by-dribble. When he debuted with the Bulldogs, he was nearly named league MVP. With all due respect to UP, I don’t know how they trained or what they planed for Kone. Yes, he is raw but he has potential. A little patience won’t hurt. However, you know you’re in trouble when your best post player is Paul Desiderio. And teams have wised up to that tactic of him posting up. I think that their biggest problem is their lack of team play. After 10 matches, they only had 99 assists. The squad with the other fewest number of passes was NU with 119. During their opening day win over UE — the Maroons finished with six assists! They did better in their second straight win, a huge one, over La Salle with 14 dimes but in their next assignment, against UST, they fell back to six. I know before game day they are ensconced in a hotel to help with their bonding and focus. Right now, they have four matches left. Their margin for error is low. For them to realize their Final Four dreams, they have to make a stand now. In their way are Ateneo, NU, La Salle, and UE, all who are gunning for their own berths as well. While it is ideal that the starting five is backstopped by the bench, there are days when your Main Man — or Main Men as in this case — simply have to carry the load. Against the National University Bulldogs, Kiefer Ravena and Von Pessumal literally carried the Ateneo Blue Eagles to its seventh win in 11 matches, 68-59. Ravena and Pessumal have been teammates for 10 years now. Through five championships; three in the juniors division and two in the seniors (in addition to a smattering of other pre and post-season leagues). Theirs is a keen understanding of the game and they’ve done this so many times in the past. Now in their final year in school, they hope to go out as champions one last time. This is a game where as it wore on and especially if you root for the blue and white, you just have to sit back and watch the fireworks. The duo scored 52 of Ateneo’s 68 points nearly equalling NU’s output of 59. In the last game, that huge win over UST, the bench carried the Blue Eagles to victory. 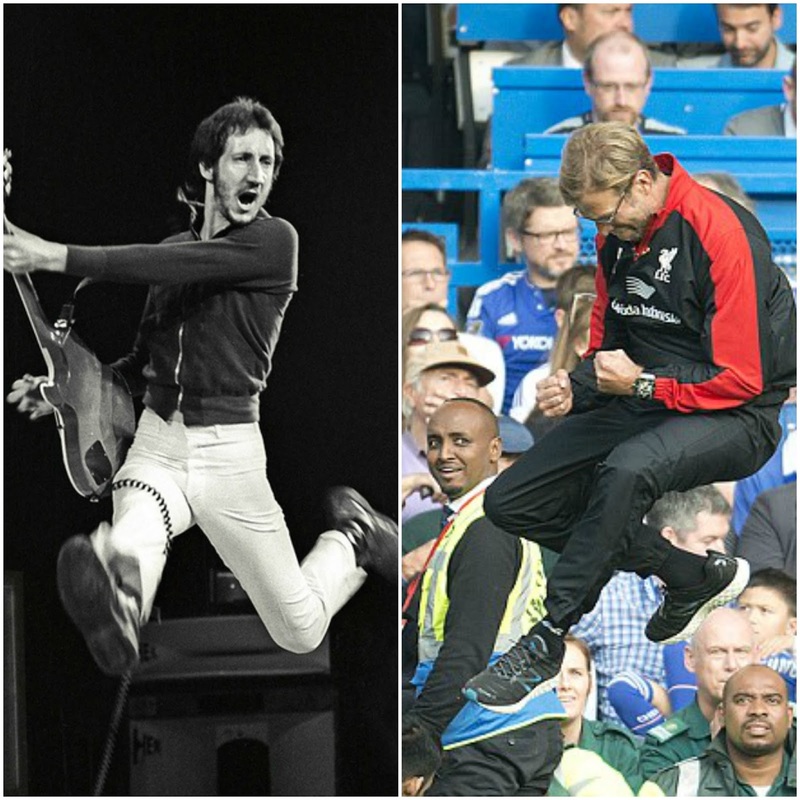 This time around, the old one-two punch packed a mean one. And theirs was better than NU’s one-two combo of Alfred Aroga and Gelo Alolino who combined for 27 points. When was the last time we witnessed Kiefer Ravena put on such an incandescent shooting display? Most recently, there was that Filoil match on June 1, 2013 where he torched Robert Bolick Jr. and La Salle for 31 points after which the Green Archers made a coaching change and sent their boisterous rookie to the bench. And there was that Final Four match during Kiefer Ravena’s sophomore year in college where he scored a scintillating 13 points to go with two rebounds, four assists, and one steal in the fourth quarter of Ateneo’s Final Four match once more against La Salle. The Blue Eagles advanced to the Finals where they won their fifth consecutive championship. Ravena was in the midst of the dreaded sophomore slump that began during the Philippine Collegiate Champions League loss to San Sebastian. But as Season 75 wore on, Ravena found his groove. And he shed his season struggles with that memorable win against La Salle. Three years later, this Season 78, Ravena, struggling albeit heroically, pressed into duty despite a tweaked ankle, provided another series of highlights in a young career filled with them. This time, he didn’t wait for the fourth period. In the previous 10 matches of Ateneo, Kiefer Ravena took the first shot of the Blue Eagles’ first possession of the game twice. And that was the season opener against FEU and the first round encounter against UST. Both times, Ravena missed. Both times, Ateneo lost. Of course, that is just coincidence. Incidentally, too, of those 10 games, Ateneo scored on its first possession twice; both coming from Ponso Gotladera with twin feeds coming from Matt Nieto. Against NU this second round, Ravena, casually hit his first attempt of the game even if time was running down in their shot clock, a triple at the 9:33 mark and right over NU’s Paolo Javelona. So was it going to be any different this time around? That was an understatement and as head coach Bo Perasol said later on, this was his most convincing win against the Bulldogs in his UAAP career. A play later, Von Pessumal threw a behind the back bounce pass to his long-time teammate for another triple. Then he took a hand off from GBoy Babilonia for another. The last of the six straight triples saw him pump up a shot after getting tagged on the elbow by Javelona. Shades of that Final Four match against La Salle except this one counted. Javelona is no slouch of a defender. He turned himself from a butterfingers of a guard into a clutch player who can put the clamps on opposing numbers. Kiefer scored 21 points during Ateneo’s first round win against NU. However, he shot only 21% from the field. Post-game, Ravena paid tribute to Javelona. The pre-game chatter in the second round meeting was on Javelona, the Ravena stopper. Paolo inherited that stopper tag from former teammate Kevin Porter who has since gone back to the United States. This isn’t the first time we’ve heard of a Ravena stopper. In that same Season 75, La Salle paraded an improved Jed Manguera who not only made it back to the lineup but also stopped Kiefer during a pre-season game (the Filoil tourney that ended in a Green Archers victory). The next two meetings — all during UAAP Season 75 — Kiefer destroyed Manguera’s defense tallying 16 and 18 points respectively. During the Final Four match up where Ravena tallied 28 markers, Manguera didn’t get off the bench at all. There too was FEU’s Chris Exciminiano. Well, that ended in Ateneo’s championship in 2011 when Ravena was a freshman starter. In this NU game, the Phenom scored 21 first quarter points against NU. He accounted for 21 of Ateneo’s 24 opening period points (the other three came from Vince Tolentino) while drilling his first six three-point attempts (6-7). Kiefer’s production declined over the next three quarters — 5, 4, and 2. The reason why he had to take those outside shots was because of that bum ankle. “I didn’t have my normal explosiveness,” conceded Kief. But even as he slacked off, Pessumal’s production went up per period from zero to 3 to 8 to 9. Ravena did finish with 32 points on 48% shooting. He also added three rebounds and two assists against one turnover all in 31 minutes. Even as Ravena’s contributions dipped, Pessumal picked up the slack and led Ateneo to victory. Remember Von’s early season struggles? He’s found the range now and his game is peaking at the right time. I pointed out how he didn’t contribute point-wise during Ateneo’s fourth quarter woes. This time around, Pessumal came through with nine big points including a deadeye three and two daring drives against Alfred Aroga. This is the reason why opposing coaches want him shut down. He can light it up. Actually, back in the Blue Eaglets, Pessumal made a name for himself for those slashing drives of his. He didn’t shoot too much from the outside. That changed when he moved up to the senior ranks. Now, he’s added a mean outside shot so he’s no longer a one-dimensional player. Pessumal tallied 20 points, four rebounds, and four assists although that was somewhat negated by his four turnovers. But his performance was solid especially during that fourth quarter binge. There were anxious moments when Kiefer Ravena went to the bench late in the first period. The offense bogged down. After which for the most part, they struggled. Through good defense by NU or just plain poor play, some Blue Eagles couldn’t get going. I laud the attempt to get Adrian Wong going as the team looked for another scorer to help Von Pessumal as Ravena faltered. But those — what, four — attempts to get Wong the ball backfired. If they were hoping he would post up his smaller man it didn’t work because by the time he got the ball it was late in the shot clock or he didn’t even attempt a shot. Good effort though. Hopefully, it will be a little less obvious next time as NU adjusted its defense. Arvin Tolentino didn’t follow up his big game against UST scoring-wise but he helped out defensively and you have to like that. Aaron Black looked mostly tentative. Chib Ikeh was sometimes maddening on offense — dunk the ball, man, and stop lofting those soft shots when you can take it strong. And there were all those missed free throws in the endgame. They could have ended any late threat instead of leaving a window open — 10 missed freebies in the fourth period alone! Despite the offensive struggle, I love the defensive stand. There’s this saying where you can have an off-day on offense but not on defense. I disagree. You have to want to play defense. It’s a mindset and it’s all about desire. If you don’t want to play defense that’s going to hurt. Good for the Blue Eagles, they did play great team defense. And this is where Black, Ikeh, and Wong made up for their offensive woes and this was how the game was won. Ateneo outrebounded NU, 43-39. Was even up on offensive boards with 10 each. The Blue Eagles had seven blocks to NU’s three. Aside from the defense, you have to love the way they responded to NU’s sudden surge where they took a brief lead following a Jeff Javillionar undergoal stab to make it 39-38, as part of a 15-1 run to bright the second and third quarters. Ravena scored a twinner while Von hit back-to-back triples to restore the lead; one they would not surrender the rest of the game. The game against UST was massive as it came against a team that is above .500 (in terms of win percentage). The two wins against NU. In writing “A NU Champion,” the book about the Bulldogs’ one-for-the-ages championship run of Season 77, I wrote that for Eric Altamirano’s boys to win the championship, first they had to dispatch Ateneo, even a year removed from its five-peat. 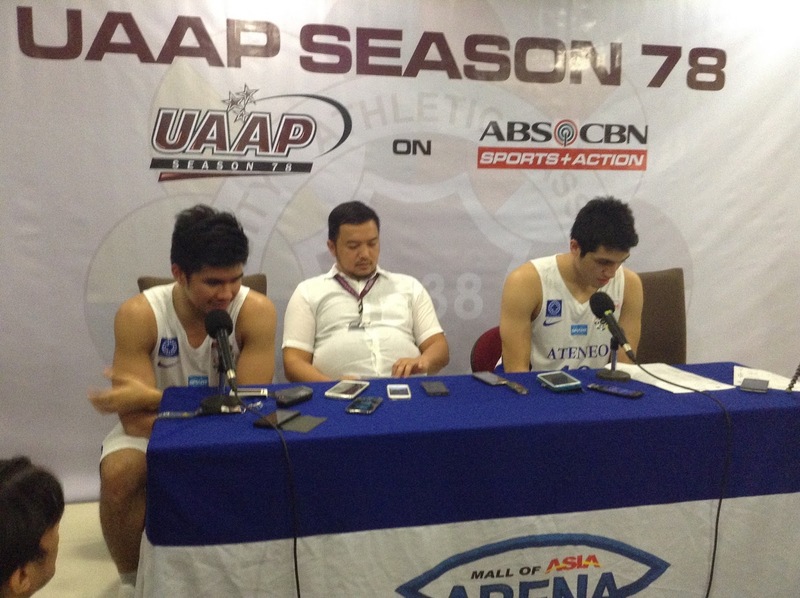 The Blue Eagles were the yardstick, the hurdle to confirm their championship aspirations. They took six straight — four in Season 77 -- en route to that title. 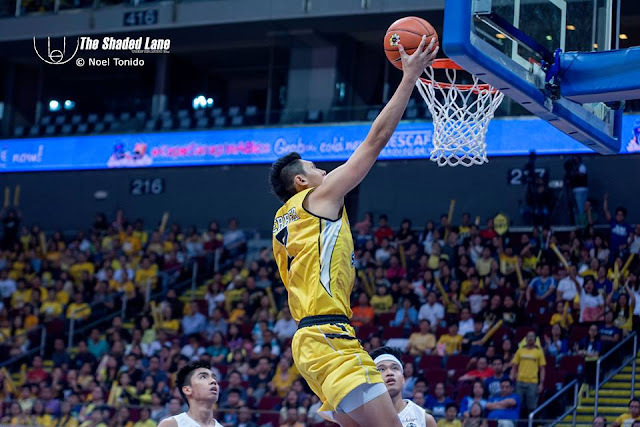 Even as FEU and UST are ahead in the race for the Final Four — UST did garner their slot with a win over UP later in the day — for Ateneo to realize their own aspirations, they needed to hurdle NU. And the Blue Eagles dropped the Bulldogs with that nasty old one-two.